Please see attached screenshot: http://i.imgur.com/CqCKmZC.png. I've reached out to their support e-mail address, through their Facebook and have yet to receive a response regarding this and several other inquiries. Iv been using Total Sms Control for a while, im stil on the old version since market a think, anyway looked up to see if there is any update and found it, like surround recording but is there anything more? 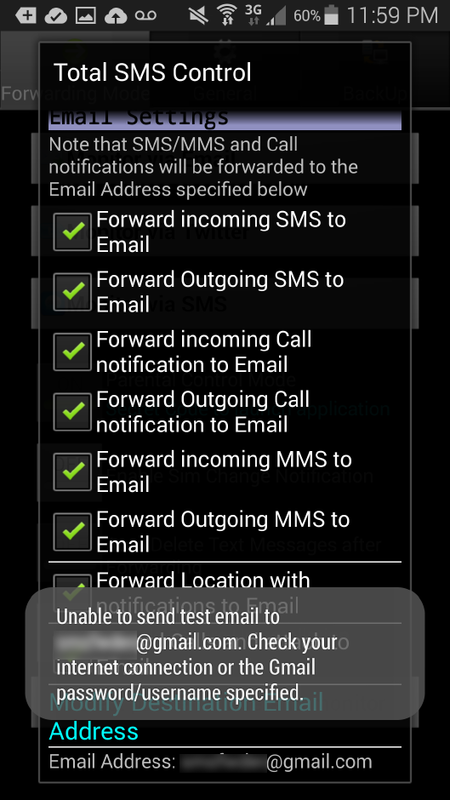 like the problem to outgoing sms stop sending and you needed to restart the device that can be hard somethimes, and why buy? do i get anything more or is it just donate? even if thats something i would do anyway, and is it fixed so that you cant see the app in installed programs on the phone?